Buying a home is one of the largest investments you'll ever make. When you find the home you've been looking for, see it more clearly with a professional home inspection. Alta Inspection Services, Inc. will do a thorough house inspection, as well as, a full introduction to your new home. If you require radon, termite, energy or environmental evaluations, our inspectors stand ready to perform a comprehensive home inspection to ensure peace of mind in moving forward with your purchase. Alta Inspection Services, Inc. (Established in 1998) – is a full inspection service provider licensed and certified by the State of Illinois. Alta's experience, responsiveness and commitment to customer satisfaction are second to none in Chicago and suburbs. Alta Home Inspection Services, Inc. is a leader in conducting professional home inspections in Chicago and the surrounding suburbs. Alta home inspectors are chosen time and time again because of their professionalism and experience. 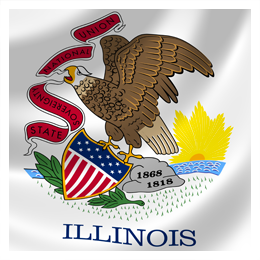 Alta Inspection Services employs highly qualified, experienced professionals licensed by the State of Illinois. Our inspection services follow Best Practices as dictated by the American Society of Home Inspectors ASHI. Click here to see our Sample Reports. We look forward to fulfilling your inspections needs. Contact Us Today!